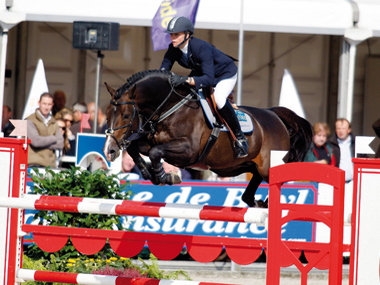 The 2004 KWPN Champion Stallion. Ustinov’s great exterior and jumping qualities are deeply anchored in his pedigree. 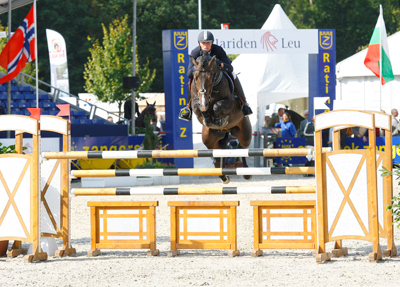 His sire is the showjumping horse producer Libero H, a legend in his lifetime. With Jos Lansink, this son of Landgraf I won a respectable series of World Cup competitions and Grand Prixs, the highlight being his fantastic victory of the ‘s-Hertogenbosch World Cup finals in 1994. His fighting spirit in combination with his jumping skills and incredible reflexes made the stallion almost unbeatable that season. 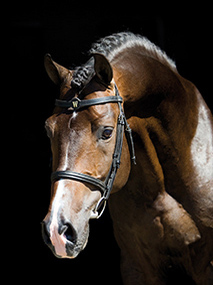 In total, Libero H has less than 600 registered offspring, more than 50 of these are or have been competing at 1.50m or higher in international showjumping. It is remarkable that many of his internationally successful offspring also carry the blood of Nimmerdor. Liberty, Coonawarra, Ikoon and Iowa are just a few examples. This fact makes Ustinov’s pedigree even more interesting, as he also carries the blood of Nimmerdor on his dam’s side. 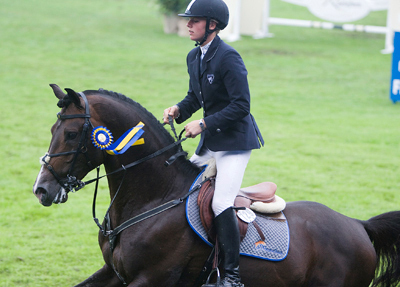 Ustinov has already successfully competed in international young horses competitions and left a great impression after presenting his first offspring in 2006. The report speaks of a superb collection very appealing foals that display great movements. 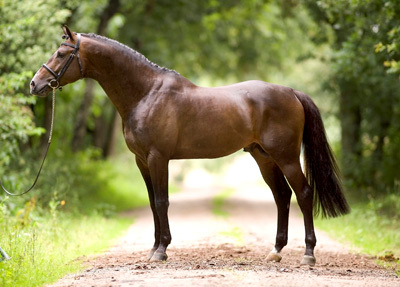 The light-footed and balanced canter was unprecedented. 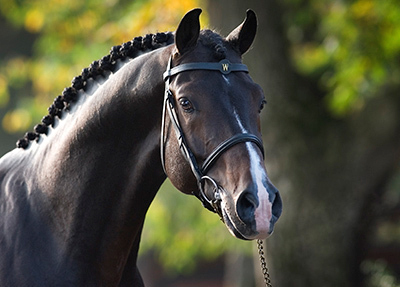 Approved for: KWPN, Oldenburg, Hanoverian, Swedish, Irish Sporthorse, Italian U.N.I.R.E.